Over 1750m2 Junckers professional sports flooring system was specified for Oriam, Scotland’s National Sports Performance Centre. Designed by Reiach & Hall, the building is located with the campus of Heriot-Watt University, Edinburgh. 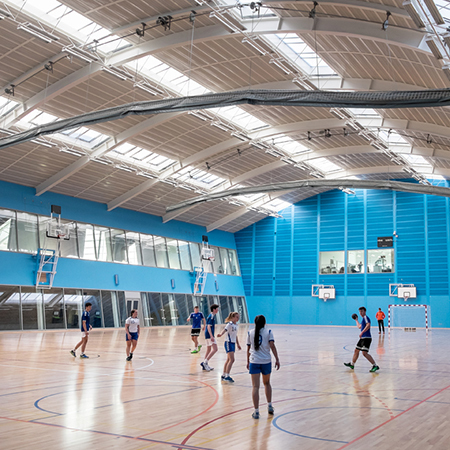 The 32x45m main sports hall features Junckers’ SylvaSport Premium fitted over UnoBat 45 undercarriage system, providing a high performing, high quality and safe flooring surface and substructure suitable for a multitude of different sports. 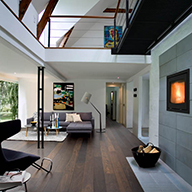 All Junckers’ sports floors are area elastic and conform to the European standard EN 14904.